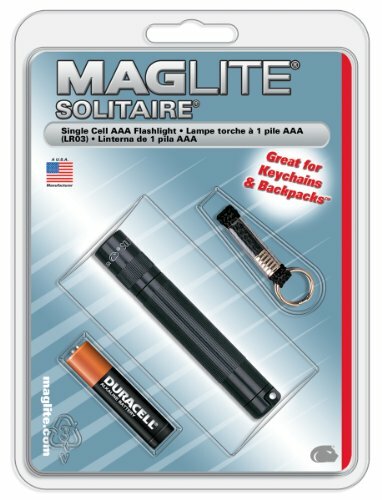 Sleek and compact, this Maglite Solitaire is perfect for keyrings, pockets, purses, or glove boxes. Operates on 1 AAA battery. Includes battery and split ring lanyard assembly. Available in multiple colors,Presentation box exteriors feature silver hot foil stamping on embossed characters - great for gift wrapping or storage.